Stockton's Hafiz Khan moves all in on the turn for his tournament life with pocket Aces on a J-6-5-7 board. He gets a call from Ian Steinman who has turned a set of Sevens. 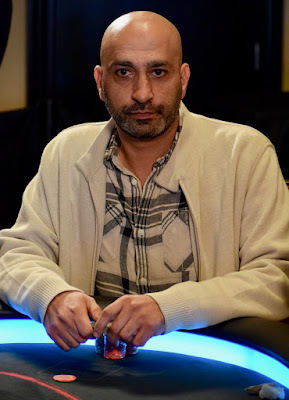 The river is a 6 and Kahn finishes in 8th place in the Million Dollar Guaranteed WPTDeepStacks $2500 Championship, cashing for $29,081.